The number of startups of technology-based companies in the real estate sector, or the so called PropTechs, has increased rapidly within the last three years – worldwide and in Switzerland as well. This development now seems to be at a peak and is flattening at the moment. We suggest, based on our market observations, that the second phase of the PropTech movement has already begun. Nowadays the market participants begin to put together their knowhow with different niche solutions to build continuous customer experience. PropTech companies are increasingly turning their focus away from their own product development and are considering more strategic partnerships or even acquisitions or mergers – in their home market and abroad. The development of the Swiss PropTech scene shows right now that established companies, not only from the real estate industry, but also from the banking and insurance sector, increasingly deal with the PropTech topic. These companies primarily build up experience in bonding with start-up companies. In addition to having an innovative vision and strategy, this also includes the implementation of new structures, processes and tools. The lessons learned from this new discipline will allow established companies to respond and to change in the future in a timely manner or even to shape future on their own. Additional to these recent developments business angels and venture capitalist companies are sharpening their focus. 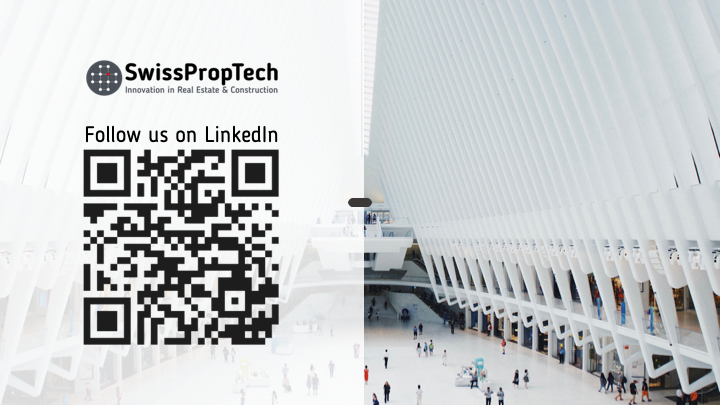 Within the last six months two well-known swiss senior experts from the real estate industry (and active members of SwissPropTech as well) teamed up with PropTech1 Ventures, Germany's first venture capital fund specializing in European PropTech start-ups. Dr Peter Staub, CEO and founder of the Zurich based real estate consulting firm pom+, and Beat Schwab, former Head of Global Real Estate at Credit Suisse and former CEO of Wincasa, a big swiss real estate management company now under the umbrella of the listed Swiss Prime Site (SPS) Group. Fittingly, PropTech1 Ventures announced these days to establish soon a permanent presence in the, how they called it, «attractive and comparatively mature Swiss market for PropTech innovations». Within the upcoming months they will open their new office in Zurich. From the SwissPropTech network perspective we are really looking forward to the results of the second PropTech survey in partnership with the international swiss banking group Credit Suisse and the meanwhile third edition of our «SwissPropTech Day» to be held in late May this year. In 2018 there were a lively group of around 120 people from established real estate companies and from the PropTech industry talking to and chatting with each other about the latest news and innovations in property and construction technologies. We are also hoping to see more and more international guests at «SwissPropTech Day». Please come and join us.